I've decided to start a series of videos I'm calling #5ArtsThoughts. Here's a intro video to the series. Feel free to subscribe to them on YouTube, or check back on the blog. I'll be posting them here as well. Networking is a word that strikes fear in many folks. It sounds so, well, calculating. And formal. But networking is more than that, and should be part of the toolkit of every creative person, since they have the communication and connection skills to do it. In fact, they probably do it without knowing that’s what they’re doing. What is networking? It’s getting to know people with shared interests. Ultimately, networking can lead to career advancement. I’ll cover that in another blog. 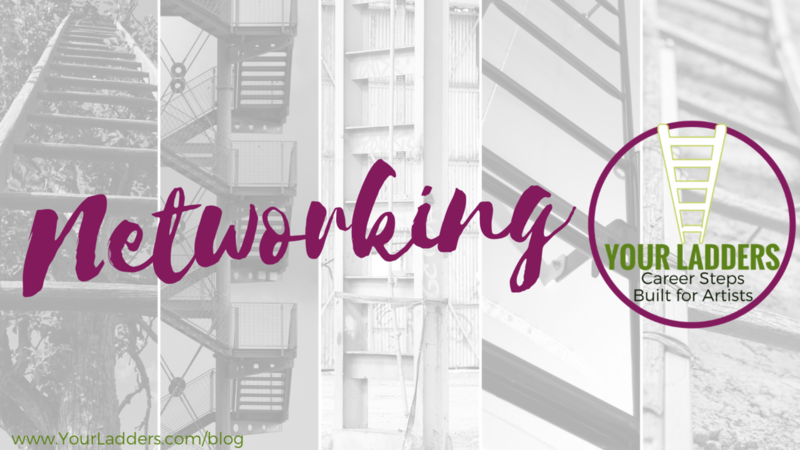 For now, let’s talk about the do’s and don’ts of successful networking. DO show up. Showing up means going to shows to support other artists. It means volunteering on boards, or on special events, to help out folks. DON’T always go into events thinking “what’s in it for me?” Be present. That will be enough. As a performing artist, there are times when you may need a more traditional resume and you have trouble translating your skills. Let me help you with this. Your career is a small business, and you do a lot to support that business, including marketing, budgeting, promotion. Are you a producer? You schedule, budget, set and meet goals. 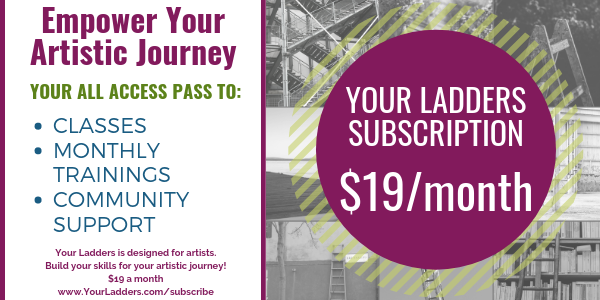 As a performing artist, you collaborate, meet deadlines, adhere to schedules. The next step to translating your skills is to remember this. Most folks don’t understand the arts. If a stage manager is looking for a job in event planning, we all know that they’d be great, because we know what a stage manager does. But most folks don’t, so handing them a show resume doesn’t help. 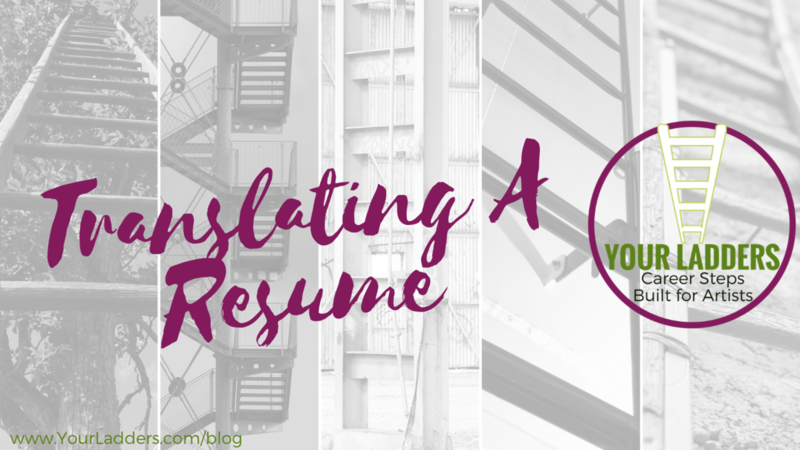 What does help is translating your skills, using a resume format suitable for the field, and letting them know how your skills align with their needs. One of the hardest lessons for me to learn in my life is that you’re never done learning. Actually, the hardest part is that I need to accept that’s part of the process. I am a fiction writer, and every time I sit down to start a book I’m convinced I won’t be able to do it. Every first draft is terrible. But editing and polish, plus a lot of practice, teaches me that at some point the book will be ready for readers. As performing artists you understand that you have to practice your craft in order for it to remain fresh. You also have to take classes and learn new techniques in order to continue to grow. As your craft matures you need to acquire new skills. Some of them are to add depth to your work. Others are to adjust to a new phase in your career. I give a lot of talks to college classes of artists. 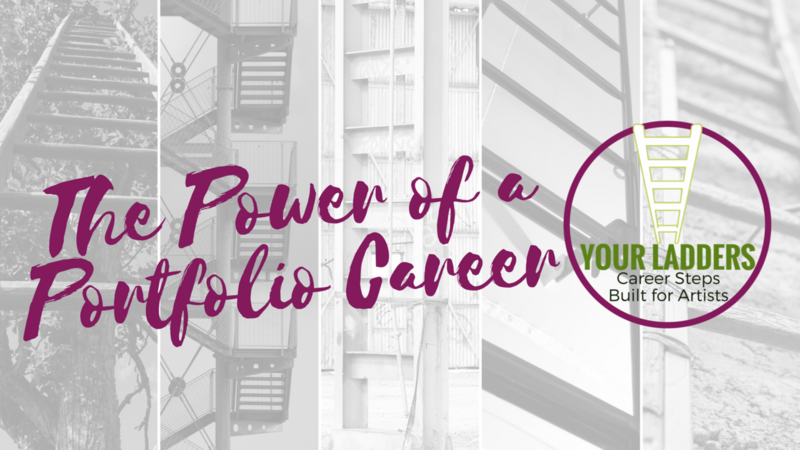 One of the points I focus on is the power of a portfolio career. 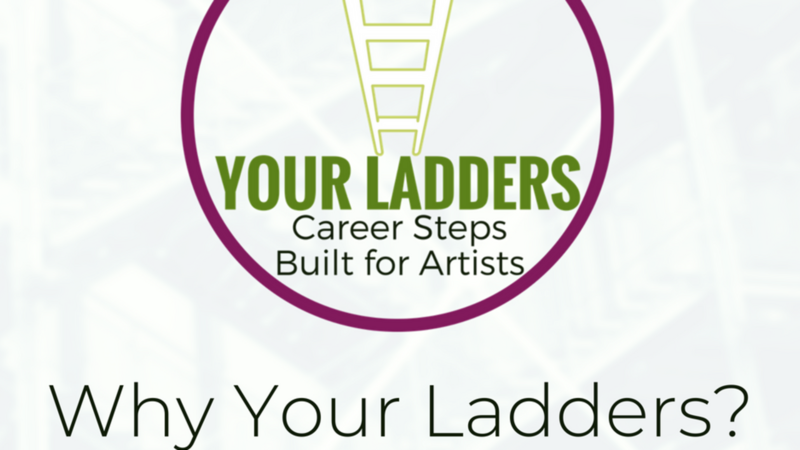 Portfolio careers are trending right now, but for folks working in the arts, it’s how you make it all work. 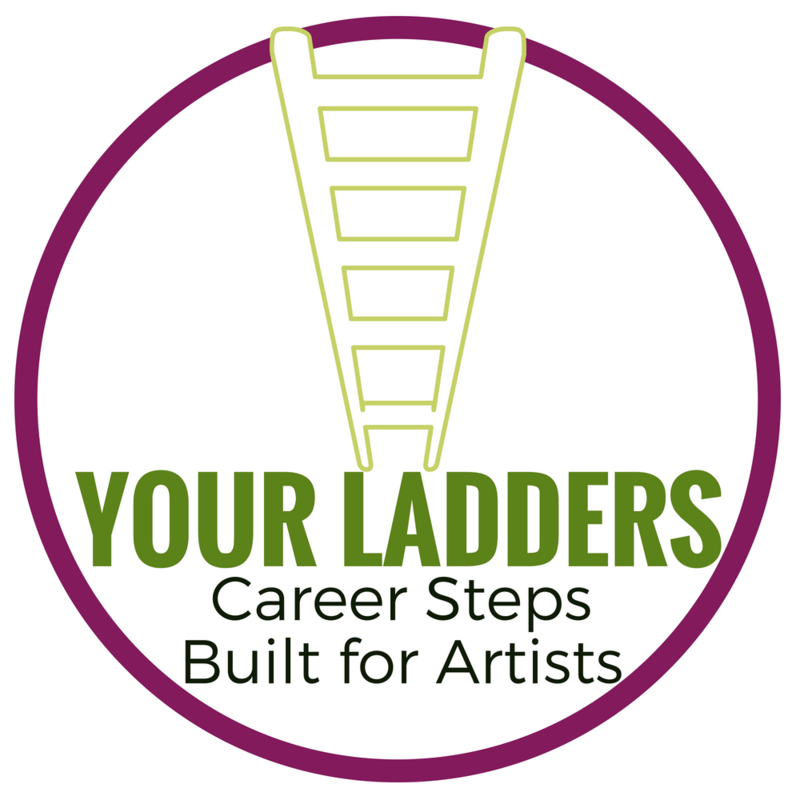 As artists, a portfolio career is necessary for all but the very few. You may be an actor who also teaches who also does coding at night. You may be a singer who sings at different services who works at an insurance company. You may be a dancer who teaches yoga and is a dog walker. October 26 is #ArtsMatterDay in Massachusetts. 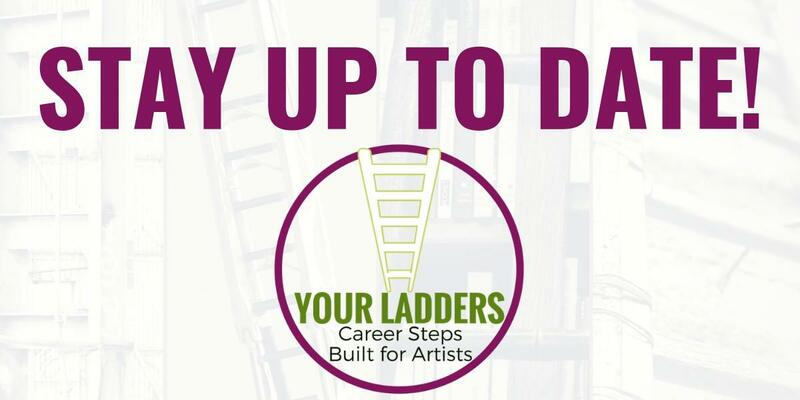 Of course, it could be #ArtsMatterDay no matter where you live, but this effort is being lifted by MASSCreative, an arts advocacy agency for Massachusetts. I’ve worked with them for a number of years, and have learned a great deal about being an arts advocate from their team. 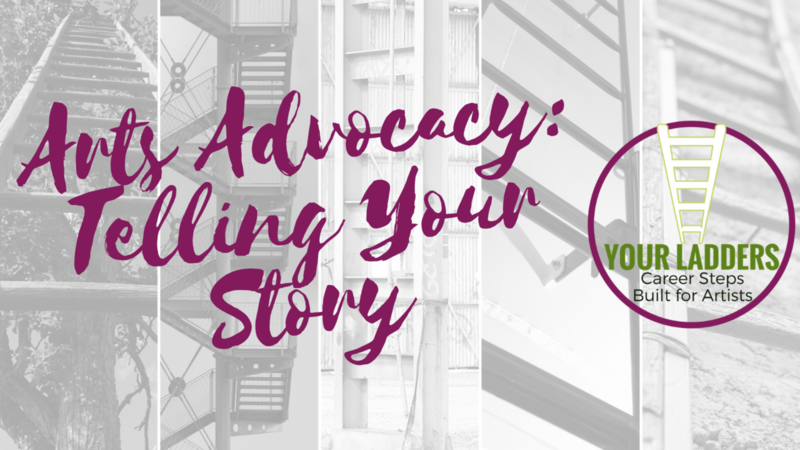 As we are in an election cycle, it is a good time to talk about arts advocacy and what it means. As an artist you understand the value of the arts. The arts are transformational, they build community, they offer new perspectives, they inspire, they teach creative and critical thinking skills, they foster collaboration. The list goes on. Take some time and make your own list. I’ve been working in the arts for over thirty years and I’m really excited about a new trend I’m noticing around the way folks are producing their own work, Now, in some disciplines that’s always been the case. But in the performing arts, particularly theater, folks have felt the need to create a company then create a season then produce their work. There have been exceptions, of course. Commercial theater has a lot of solo producers. But in the non-profit and community realm, starting a company has been the first step for most folks by rote. Or folks aspire to start a company. That’s changing. Writing a resume or cover letter is your opportunity to tell your story to a potential employer. While the documents don't get you the job--you do that in an interview--they do get you in the door. 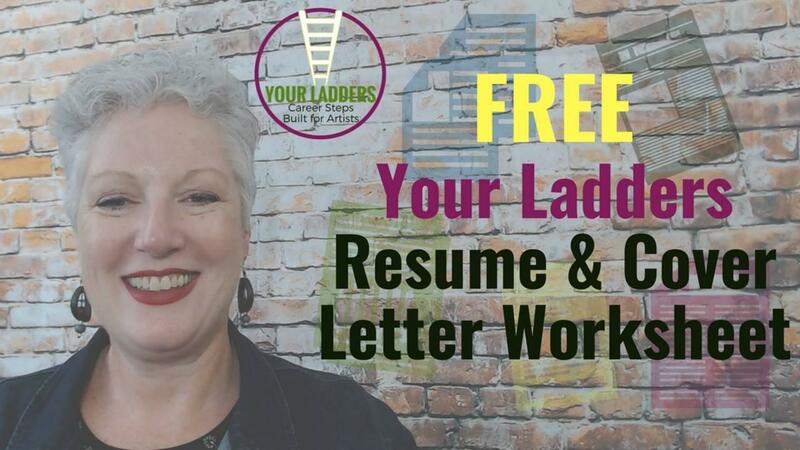 I'm offering a free resume and cover letter worksheet for folks. I've distilled a workshop into this five page document I know you will find useful. Please go over and download it. The world needs artists. Let me help you help them. 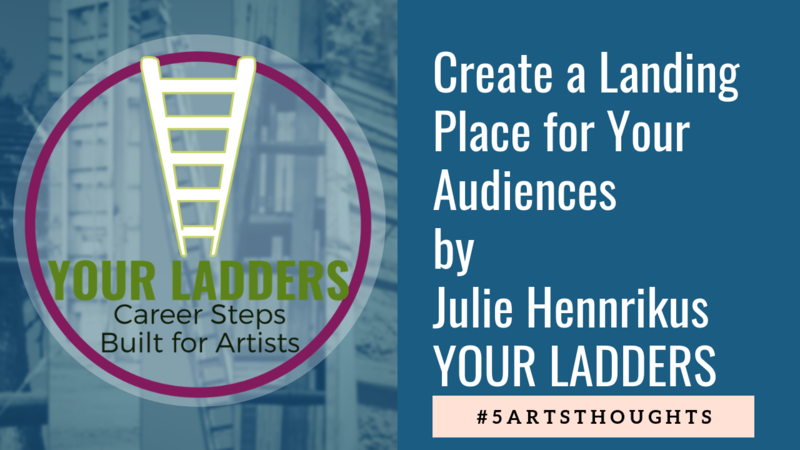 WHY DID I NAME MY SCHOOL YOUR LADDERS? 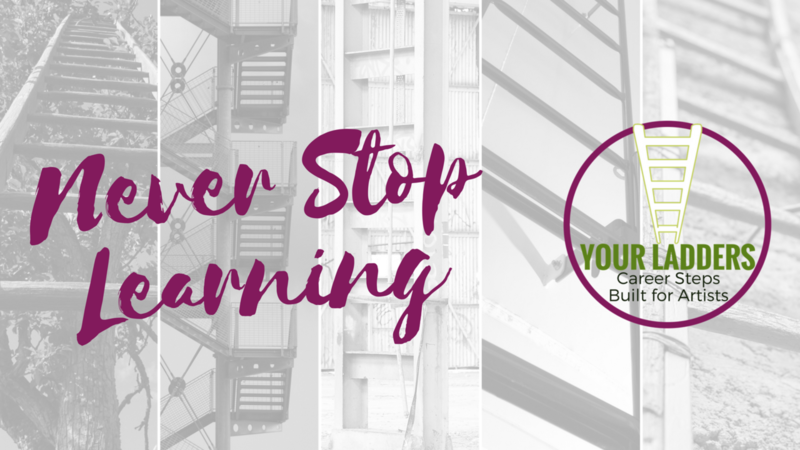 This past winter I signed up for Marie Forleo's B-School in part to help me take my mystery writing life to the next level, in part to help me do my job running a non-profit arts service organization, and in part because I love learning. I was also teaching an arts administration class, and one of my students told me he was grateful for the practical knowledge because it made graduation less daunting. He also told me he worried about his friends who hadn't taken an arts administration class and were going to try and build a career. All of this came together and birthed a new idea. 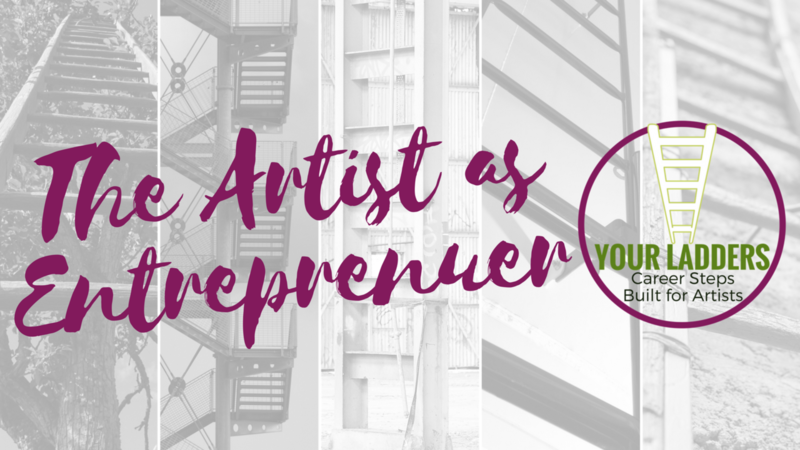 What would happen if I took my thirty years of experience in arts administration coupled with my love of teaching, and created a platform where both could live, and be accessible to more people? What would I call this online school?